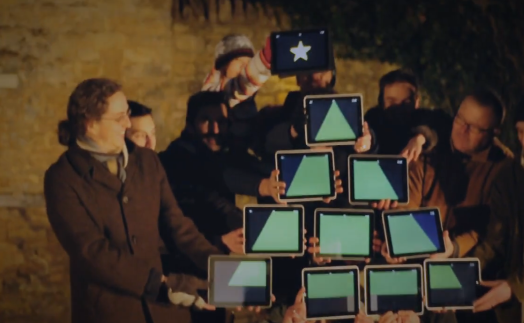 The British web-design company Torchbox used iPads to deliver 'A Starry Night' Christmas message. This is fabulous, if you like technology, specifically the iPad, you won't want to miss watching this one! this makes me realize how technologically challenged I am. Amazing. I love these types of productions. So technologically advanced, yet simple and charming. oh everything about this was really really beautiful. love it. I can't get over how cute that was!! I had the whole office come and watch with me....love it. I love my ipad. Hi Rachel and readers! So glad you liked our video - we really enjoyed making it. Rachel, here's the track, which I'm afraid is only 1:47 long. We recorded it in two hours in our offices, with Katie Overbury, an amazing local 17 year old singer. wow that's so neat !